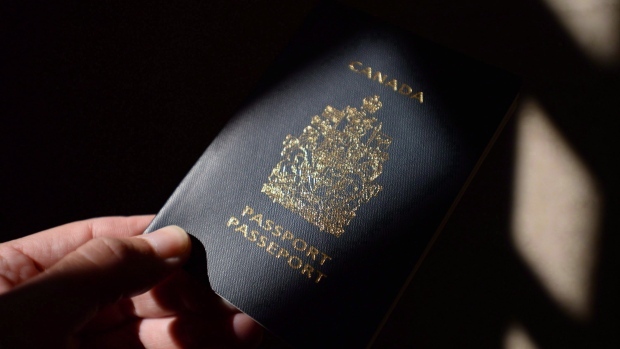 OTTAWA -- International law does not require Canada to give citizenship to babies born on its soil, the federal government is telling the Supreme Court -- an argument that could inadvertently bolster a recent Conservative party resolution aimed at stemming so-called birth tourism. Canada is one of fewer than three dozen countries that follow the practice of citizenship based on birthplace and some -- including Australia and Britain -- have modified or ended automatic birthright in recent years, the government says in a case that will determine whether the Toronto-born sons of Russian spies are Canadian citizens. Federal lawyers play down the concept of automatic citizenship in laying out the reasons the government believes Alexander and Timothy Vavilov -- the offspring of Russian intelligence agents -- should not be recognized as Canadian citizens, even though they were born in Ontario. The Supreme Court will hear oral arguments in December.